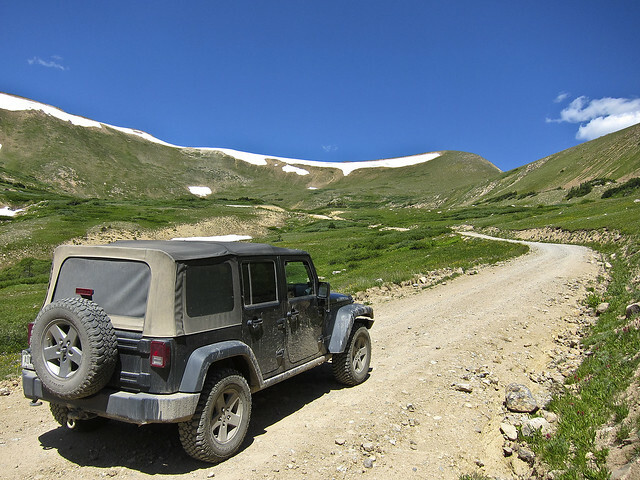 Last Sunday I headed out to the Front Range area so I could do a little exploring. After getting caught in traffic on I-70 that turned the 4 hour drive into a 7 hour drive, I met up with Amanda and her family at the hotel they had reserved for a few days. 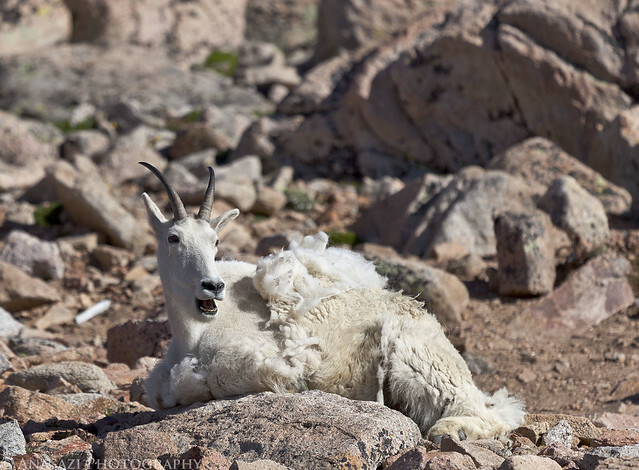 We spent Monday at Rocky Mountain National Park, which was actually my first visit to that park. 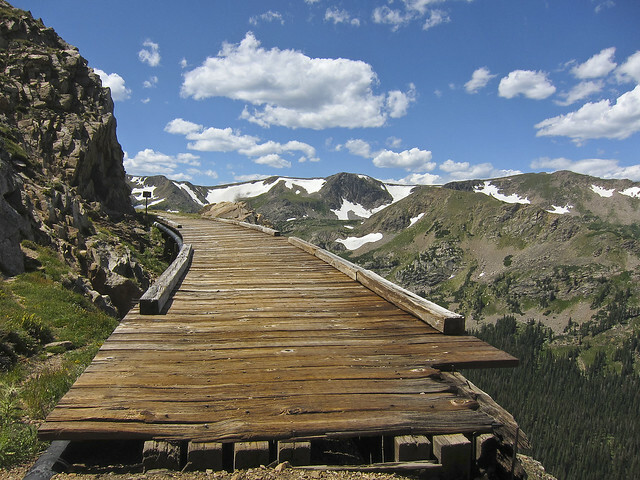 I started out with a drive up the Old Fall River Road and then just checked out a few of the main views along the road with a few short hikes. It was a good way to get acquainted with the park so that next time I can plan a little better. After driving up the Old Fall River Road to the Alpine Visitor Center I met up with Amanda and her family again. 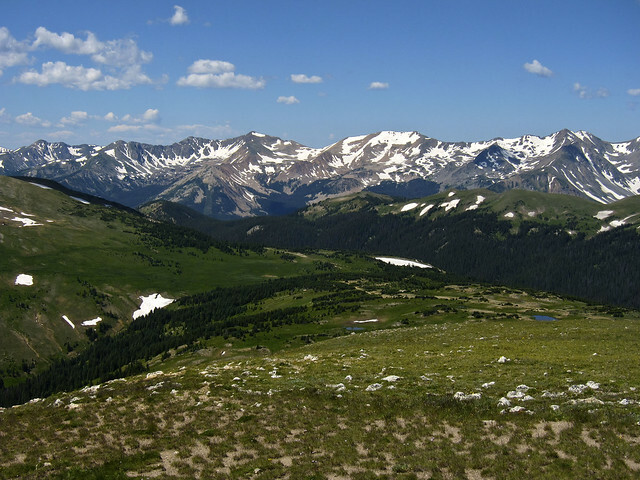 After taking in the views from the Visitor Center we continued on to the Gore Range Overlook with this nice view of the Never Summer Mountains. 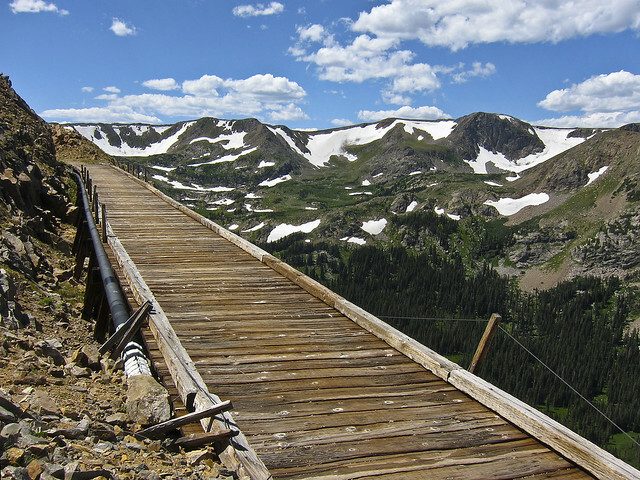 Next we traveled over Iceberg Pass on the Trail Ridge Road and stopped at the Forest Canyon viewpoint. 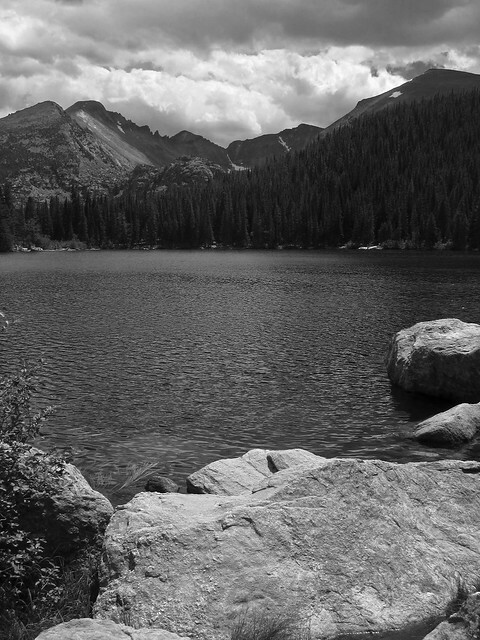 After stopping at a few more viewpoints along the way, we eventually made it to Bear Lake…we even managed to find parking when we arrived. We took the easy stroll around the lake…this photo is from the opposite side. We stopped at a few more places along the way and then left the park to head back to the hotel. We took part of the Peak to Peak Highway back. On Tuesday morning I left early and parted ways with Amanda and her family so that I could do some exploring on my own as I slowly headed back towards Grand Junction. My first stop of the day was driving to the top of Mount Evans so that I could bag my third 14er (and the second one in a week!). 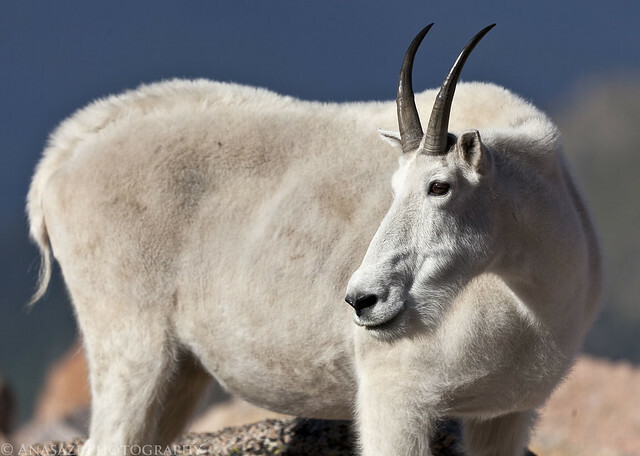 After completing that goal, I stopped to take a few photos of the many mountain goats just below the summit. There were even a few baby goats around. 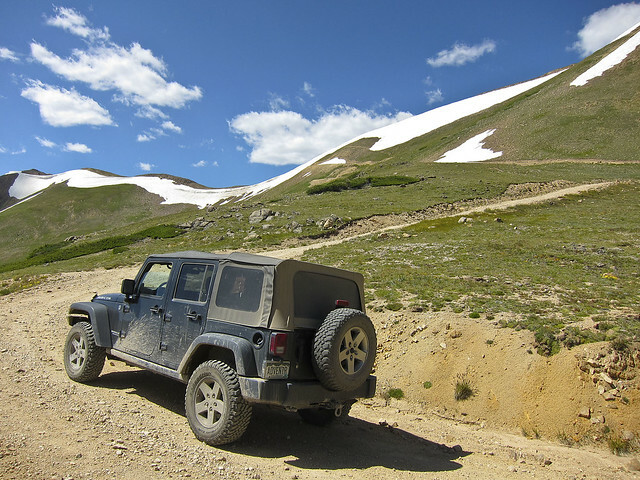 After leaving Mount Evans I headed over to see if I could get up to Jones Pass. I could tell from this view that there was a large drift still blocking the road to the pass, but it was only a few miles to the top…so I thought I’d see how far I could get. 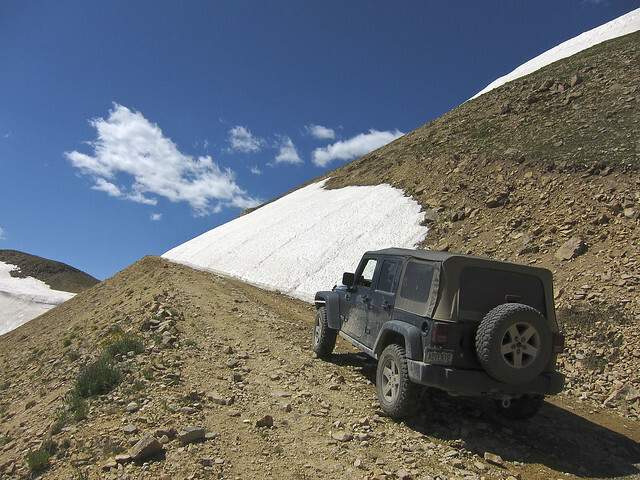 Climbing up the basin towards Jones Pass. At first I thought this snow drift was going to stop me, but once I got close enough I saw that I would just be able to squeeze by. 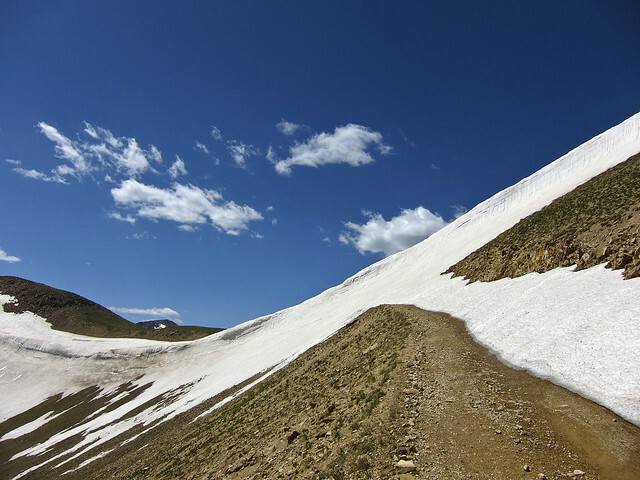 I was able to hike beyond the drift that stopped me, but quickly ran into the largest drift across the road near the pass. 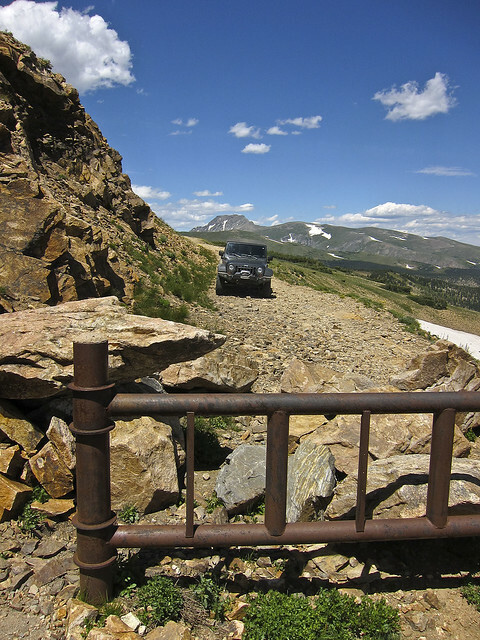 After heading back down from Jones Pass, I made my way north over Berthoud Pass towards Winter Park. 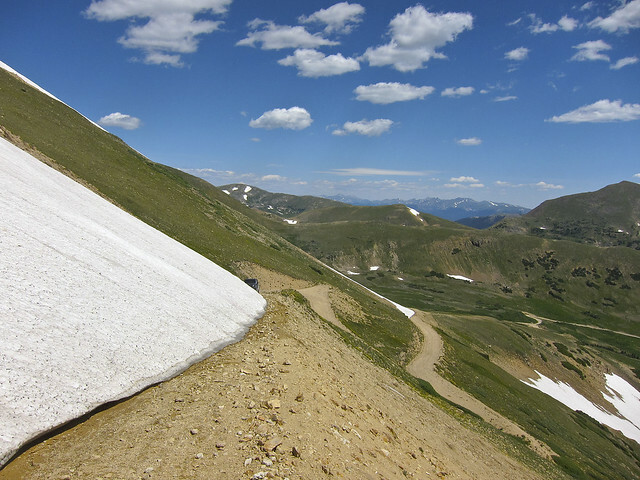 Just before arriving at Winter Park I turned off onto the Rollins Pass West trail. 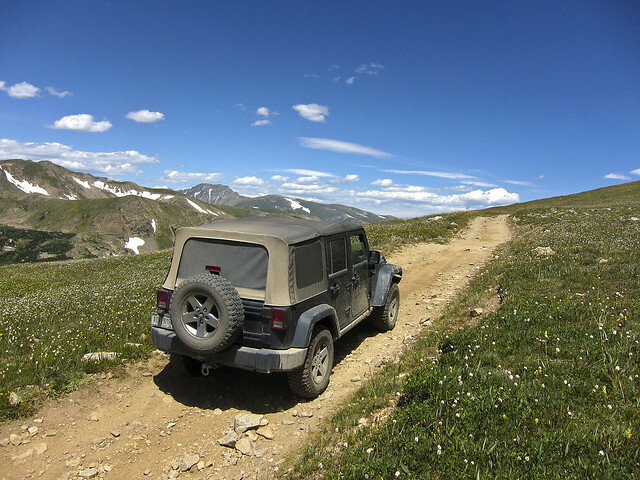 This is a trail I have been looking forwards to doing for a while since the first trail I ever drove in Colorado was Rollins Pass East…I really wanted to finally complete driving this trail from both sides. 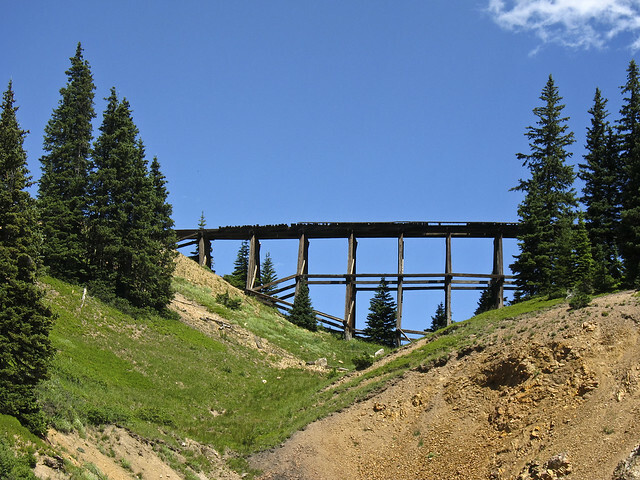 On my way to the pass (which follows an old railroad grade) I passed the Rifle Sight Notch Trestle. 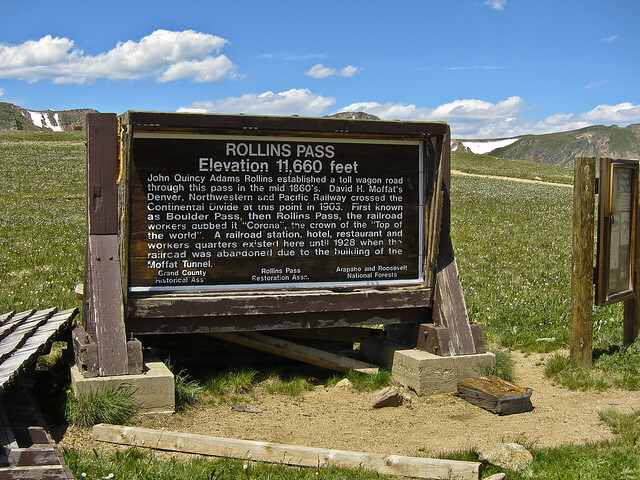 Eventually I reached Rollins Pass, which is something I wasn’t able to do from the East side since the Needle Eye Tunnel has been closed for a while. Shortly beyond the pass the road is closed to vehicles. 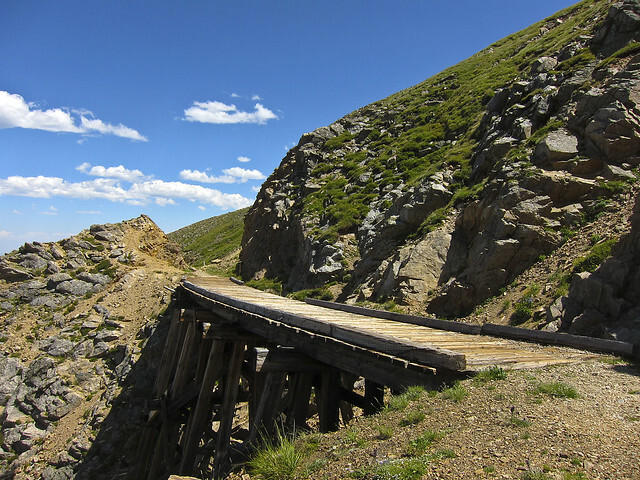 I backtracked a little ways and took the Boulder Wagon Road to get a little closer to the collapsed tunnel. End of the road…the Needle Eye Tunnel is a few hundred yards behind where this photo was taken. I hiked to it, but was looking right into the sun as I tried to take photos, so none of them really turned out. From the tunnel I backtracked again and hiked the opposite direction to the Twin Trestles. This was the first one I came across. 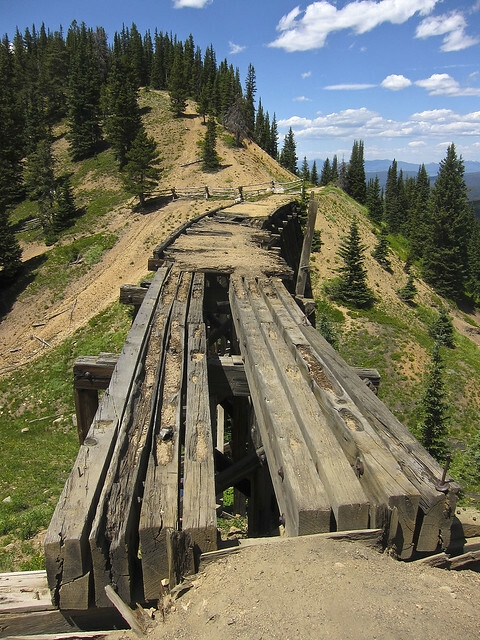 Looking back at the first trestle again as I hiked back to the Jeep. 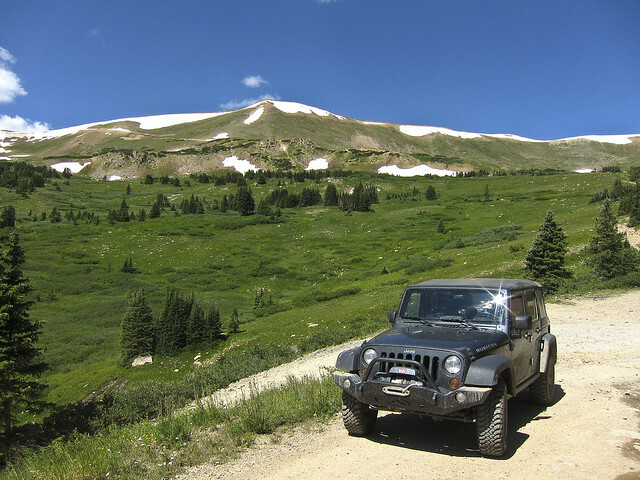 After driving back down the railroad grade to Winter Park, I followed Vasque Creek and a few other forest service roads that took me near the trailhead to Byers Peak and then down to Frasier. 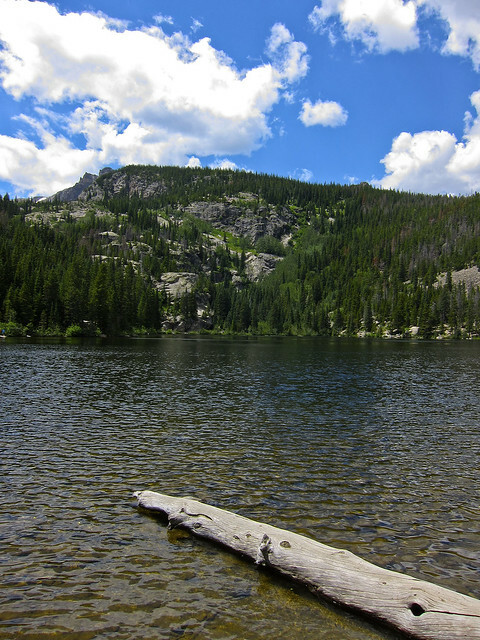 I continued on US 40 to Granby where I had a quick dinner and then stopped at the shore of Lake Granby. 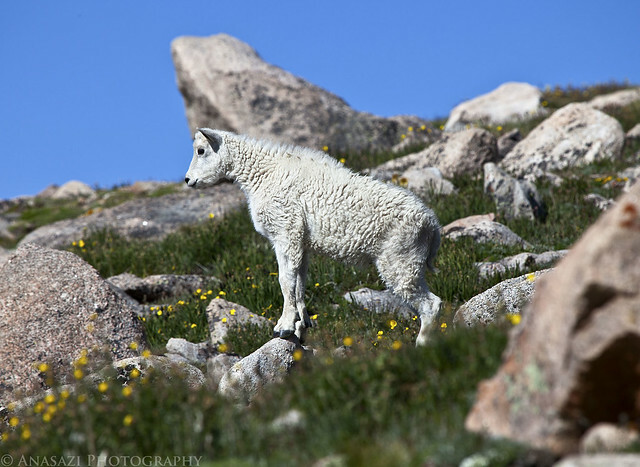 My goal for the evening was to camp along the Buffalo Pass Trail near Steamboat Springs……and it was starting to get late, so I had to hurry up. I took a shortcut over Stillwater Pass and then another one that got me from CO 125 to CO 14 without having to go all the way north to Walden. 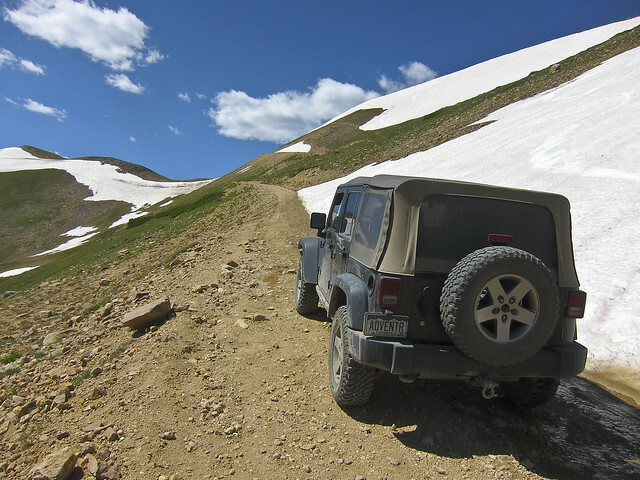 I was a little disappointed to find a sign at the beginning of the Buffalo Pass stating that there was snow blocking the pass and I wouldn’t be able to get over to Steamboat Springs. It was starting to get dark at this point, so I figured I would continue up the road and find somewhere to camp for the night, then figure out my route in the morning. 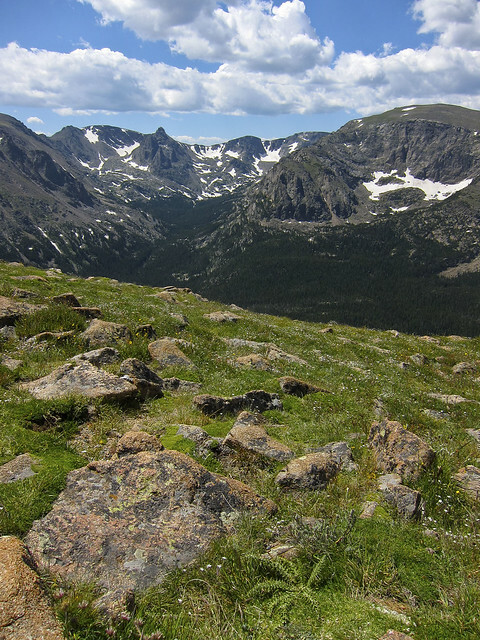 I ended up driving up to Buffalo Pass and finding plenty of campsites nearby. Once I was down in Steamboat I hopped back on US 40 and headed west again. I stopped in Craig for some breakfast and the started heading south. I got off the pavement and headed over Yellow Jacket Pass and passed the Thornburgh Battle Sight on my way to Buford. From Buford I continued south through the White River National Forest until I reached New Castle. Then it was back on I-70 all the way back to Grand Junction.